Not all invertebrates are "reef safe." Many of them will tear up corals, consume fish and otherwise destroy other tank inhabitants. The invertebrates listed below are some (by all means not all) generally considered by experienced reef tank keepers to be safe for reef tanks. Keep in mind that nothing is "foolproof" when it comes to living animals. There are renegades in any species, so if your new tank critter doesn't work out, remove it before it can do serious damage. Marine Crabs are almost exclusively considered to be scavengers, eating almost anything in their paths including live animals. 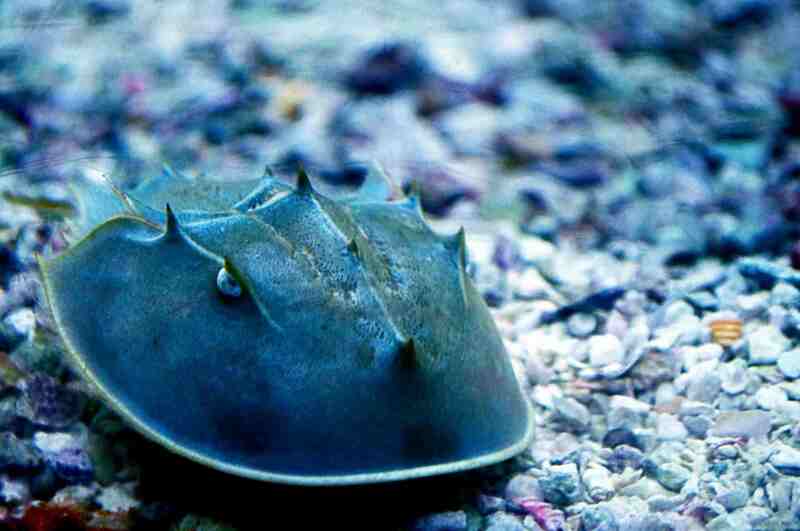 Some crabs, however, are more selective feeders, consuming uneaten food, detritus and rotting substances (i.e., dead fish) and can be beneficial in an aquarium. Hermit Crabs are the small scavengers of the oceans. Many Hermit Crabs are selective feeders and will not eat a lot of things. However, there are some who will eat the stuff in your tank that you don't want in there, such as Green Hair Algae, Red Slime Algae, detritus, uneaten food, and dead critters. There are many marine shrimps which are commonly kept in saltwater aquariums. These shrimps are colorful and, for the most part, harmless to the aquarium environment. Many of these shrimps naturally serve a purpose in the aquarium by consuming parasites (the Pacific Cleaner Shrimp eats parasites, the Peppermint Shrimp consumes Aptaisia) while the others add diversity to the tank and are fun to watch. Marine snails are terrific little scavengers, gobbling up detritus, uneaten food, decaying organics, and fish waste. Many of these snails are great little rock and glass cleaners, sucking algae off of everything as they slide along. Starfish are quite popular in reef tanks. Many of these creatures, such as the Sand Sifting Sea Star (Astropecten polycanthus) and Chocolate Chip Starfish) are predatory and should not be housed in reef tanks. The Flame Scallop is a reef tank safe bivalve which does not threaten any other occupant in a saltwater aquarium. A filter feeder, it requires target feeding of floating micro-plankton to be kept alive in the aquarium.